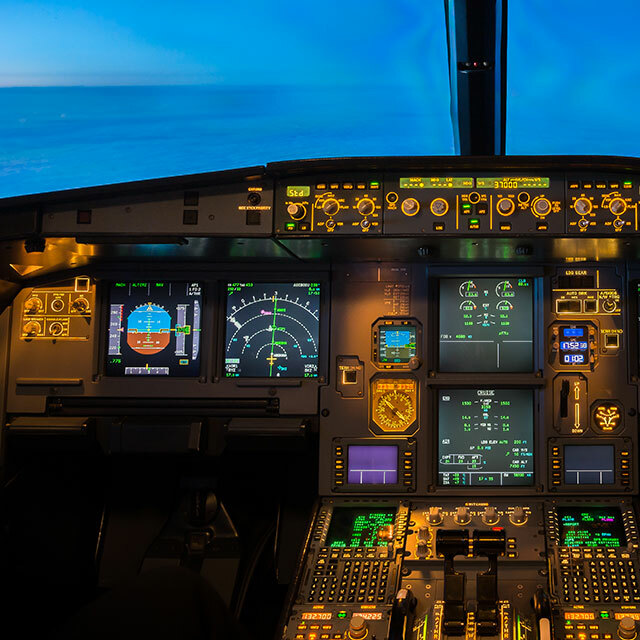 To decide promptly, to communicate clearly, to identify problems early and manage them as a team: in order to recall these soft skills under pressure, pilots are being trained regularly in the flight simulator. It is not designed for managers – actually. In this exclusive and unique one-day workshop, Philip Keil opens the cockpit door for people managing teams and companies. His credo: in any field, teamwork and clear priorities make the difference over crash or landing on the dot. The flight simulator offers a perfect training environment for this purpose. make and to execute tough decisions under time pressure. identify errors at an early stage and to solve problems by method. communicate clearly and to work within a team effectively. be a confident leader, prepared for the unexpected. The cockpit, the sounds, even the shake upon touchdown – every detail is authentic. Beyond the fun and the adrenalin, this training enables you to transfer the achievements into your working routine. The participants learn the strategies of professional pilots, developed by the NASA. After a brief introduction in the cockpit interior, it is time to get airborne: the participants fly on their own, they encounter tricky team challenges and have to follow well-defined priorities. Each crew member performs the duties of the “Pilot Flying”, as well as the “Pilot Monitoring”. In the subsequent feedback session, each maneuver and team performance will be analyzed individually and experiences are being shared. Finally, the “lessons learned” for the daily working routine will be concluded.